Two years into living at our new condo, we’re getting organized. 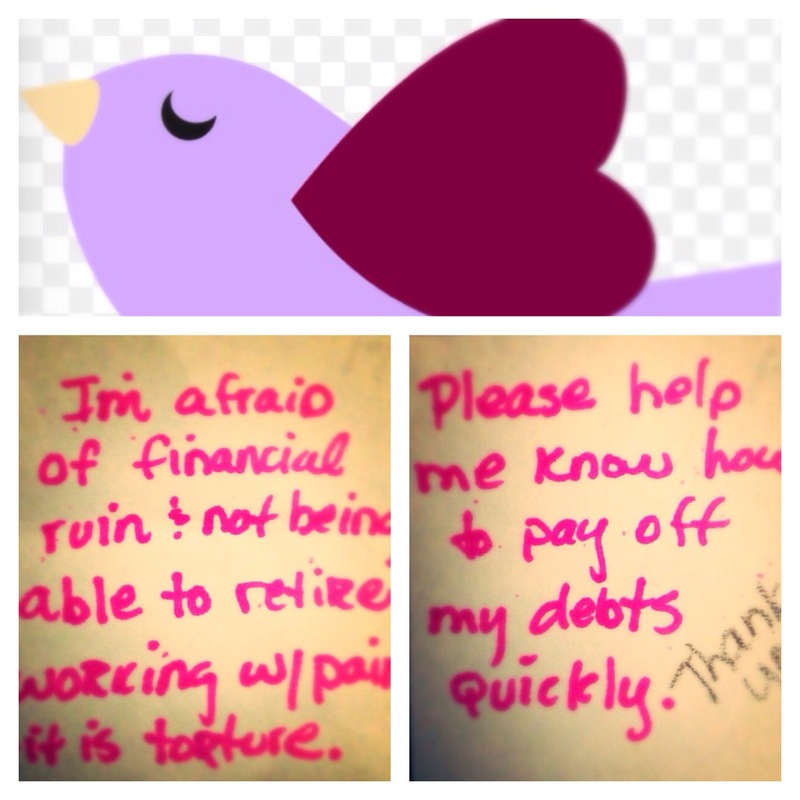 While sorting through papers, I found these little notes that I wrote 10 years ago, and it reminded me of The Bird Box. 10 years ago, disabled from a spinal injury, suffering from surgical menopause, existing on an air mattress and deeply in debt, I couldn’t imagine how. But I gave the little purple bird a chance. Some days I would write 10 notes when my hand was able and put them into the box. Soon, the notes began to be answered. When they were I would write “thank you”. A silly purple box was something. I really did imagine the bird taking those worries to my higher power. I say “higher power” because I didn’t believe in God at the time. My body and my first marriage were crippled and broken. The only higher power I could muster was My Chemical Romance. They sang what I felt and could not say. 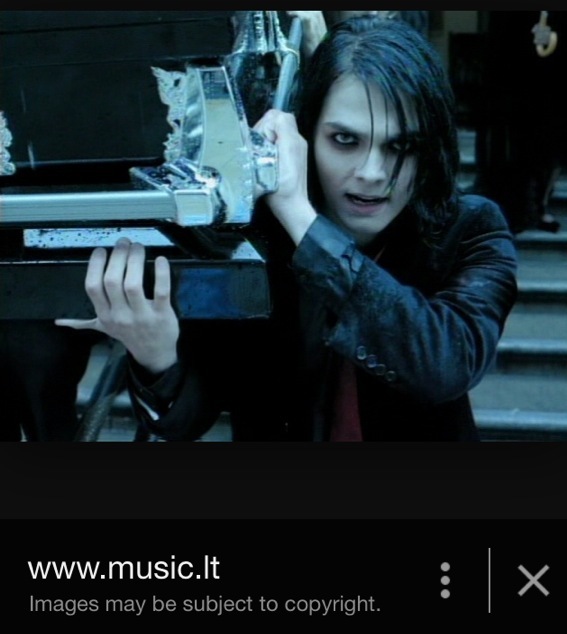 Gerard Way carries a casket in the rain for “Helena”- the ode to his grandmother who had just died. Incidentally, it just happened to rain that day in LA. Soon my spine began to heal. I began to lift weights. I took control of debt in my name. 2 years later, I went to MCR’s mosh pits alone in Phoenix, Austin and Houston 3x. I felt brave because I knew of the threat of re injury to my spine. It gave me hope and strength and I didn’t feel so alone. Courage lies in knowing the danger. Soon I was writing more “thank you’s” on the little notes than worries. After the last MCR concert, I gave the purple box to a friend who was hurting just as badly as I had been.